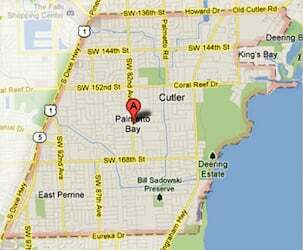 Were you injured in any kind of incident or accident in Palmetto Bay? Are you a resident of Palmetto Bay and got hurt because of the negligence of another? You owe it to your family and yourself to learn about your legal rights and options following your injury. The best way to do that is to consult with a Palmetto Bay accident and injury lawyer. At the Wolfson Law Firm, the Miami personal injury lawyers have served the towns, cities and communities of South Florida including Palmetto Bay since 1963. Collectively our Miami accident lawyers have more than 80 years of experience in helping personal injury victims. Our Palmetto Bay accident lawyers understand your need and desire to hold the person or corporation that caused your injury fully accountable. We can help you and your family get the financial compensation and justice that you clearly deserve. Our personal injury law office in Miami provides confidential and free consultations wherever it is convenient for you. Understand that we only get paid our fees if and when you recover. There are no risks or costs for you to get the information and answers you need to make a clear and informed decision. The Only thing you have to do is to call us at (305) 285-1115 and let us go over all the options with you right now. As of 2010, there were 8,372 households, out of which 5.4% were vacant. Between 2009 and 2013, the average median income for a household in the village was $105,122, the per capita income for the village was $39,271. As of 2000, before being annexed to Palmetto Bay, in the East Perrine neighborhood, English as a first language accounted for 66.62% of all residents, while Spanish was at 30.22%, French Creole was at 1.64%, and French as a mother tongue made up 1.49% of the population. The population was 23,410 during the 2010 US census. Total population of Palmetto Ba, as of 2010, was 23,410. Total area of village is 8.8 square miles. The Miami accident and injury lawyers at the Wolfson Law Firm are prepared to help you in your pursuit of justice after your Palmetto Bay injury and accident. All you need to do is to call us at (305) 285-1115 and allow us the opportunity to review and discuss your potential case. The Miami wrongful death lawyers and personal injury attorneys of the Wolfson Law Firm serve Palmetto Bay and all of the towns and cities of South Florida including Pinecrest, Kendall, Hialeah, Kendale Lakes, East Perrine, Palmetto Estates, West Perrine, Hialeah Gardens, Leisure City, Homestead, Florida City, Princeton, South Miami Heights, Cutler Ridge, Richmond West, Country Walk, Dadeland, Glenvar Heights, The Crossings, Cutler Bay, The Hammocks and University Park.